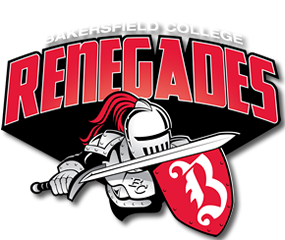 The Bakersfield College Renegades rallied late in the second half to beat Cuesta College 88-80 on Saturday in a non-conference game in San Luis Obispo. BC (12-6) trailed 72-64 with 6:41 remaining before going on a 24-8 for its fourth straight win. Shahadah Camp led BC with 25 and Anieus Medrano had 21. The Renegades travel to Glendale on Wednesday. A Bakersfield College women’s rally came up short on Saturday in a 50-48 non-conference basketball loss to Alan Hancock in Santa Maria. BC (7-11) never led but the game was tied several times before Alan Hancock opened up a 38-25 lead late in the third quarter. Dasia Wandick led BC with 20 points and Jasmyn Rodriguez added 10. BC beat Cuesta College 64-50 on Friday night.